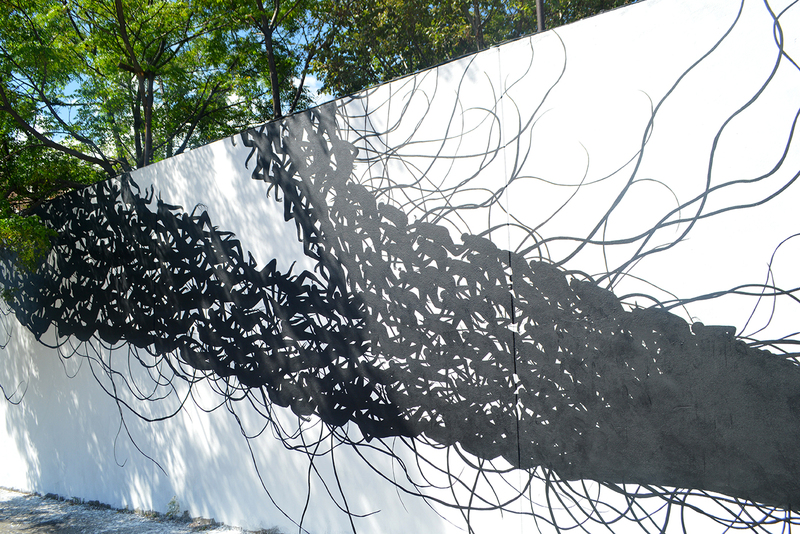 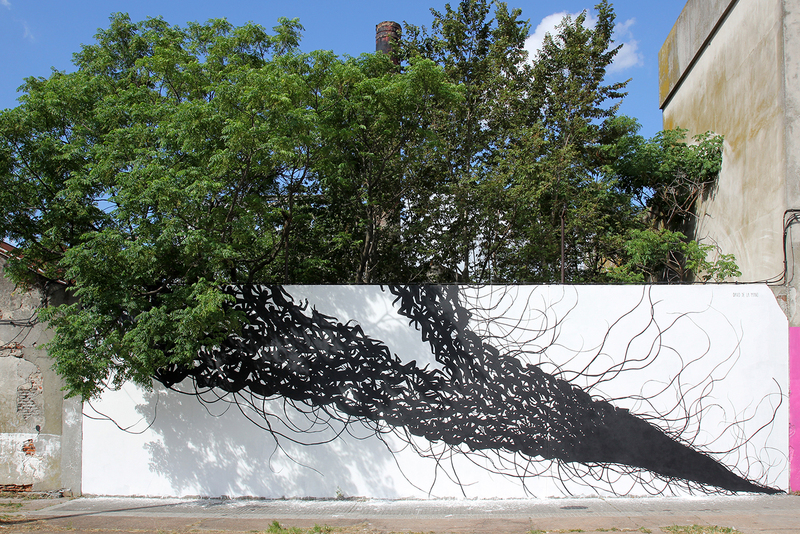 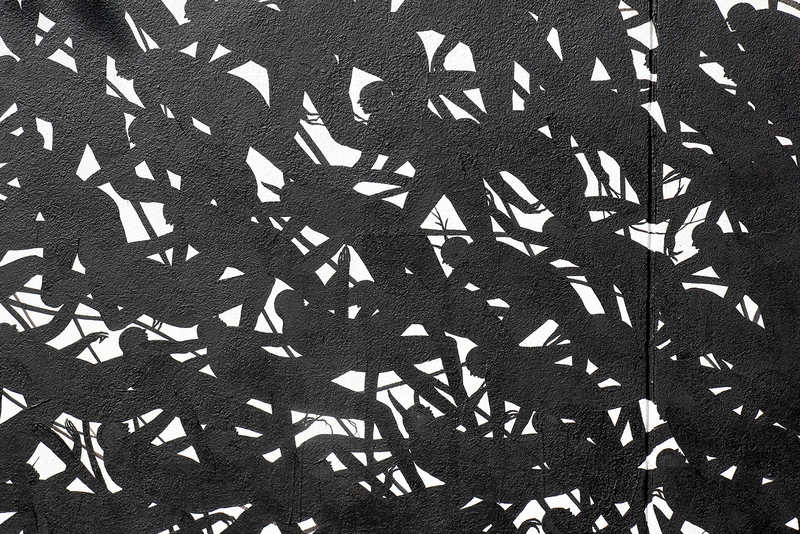 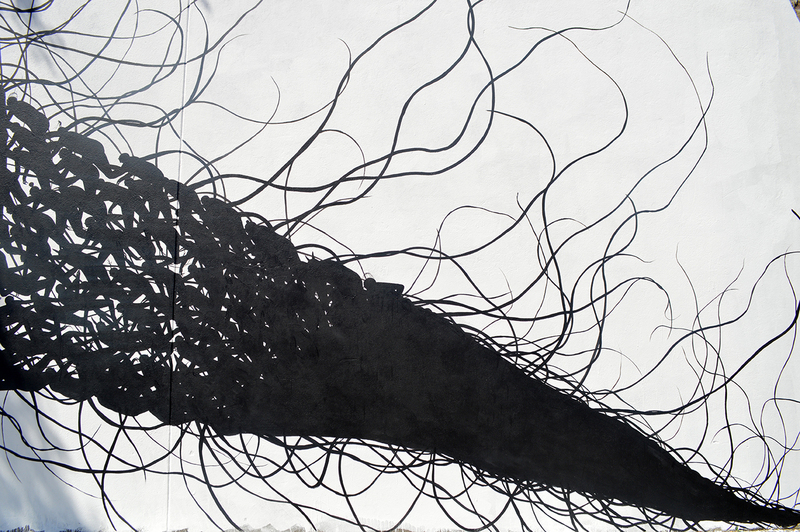 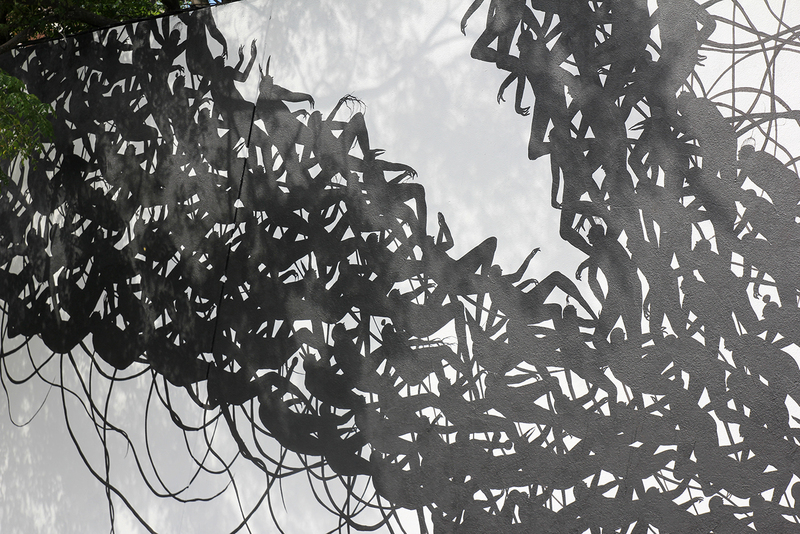 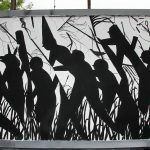 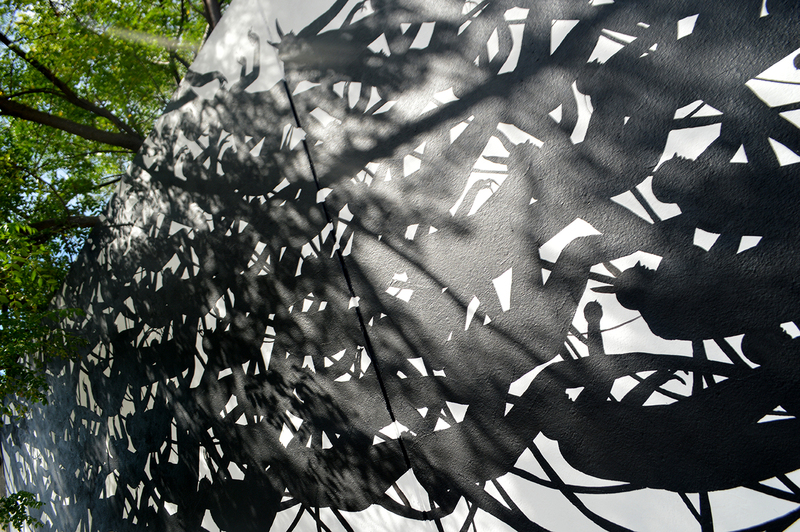 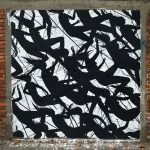 Our friend David De La Mano just sent us some images from his latest artwork which was created on the streets of Montevideo in Uruguay. 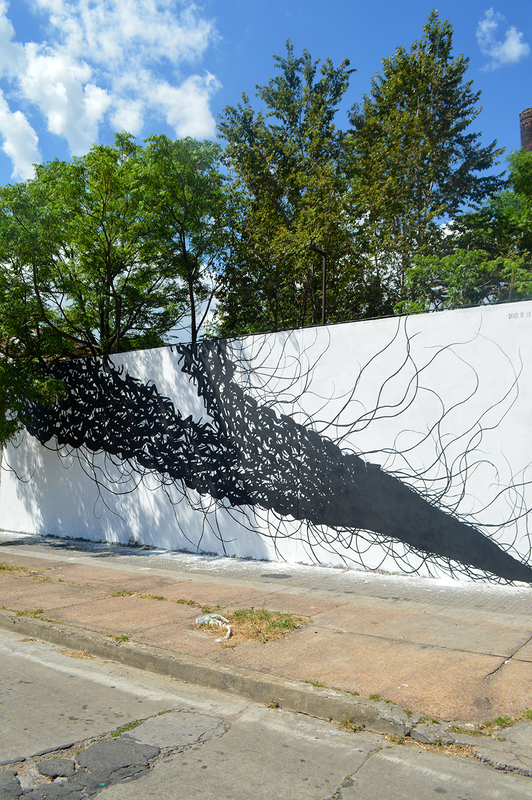 In town for the Tomada Urbana Street Art Festival, the prolific artist spent a few days in the Pinto neighborhood to create this monochrome piece entitled “Burst”. 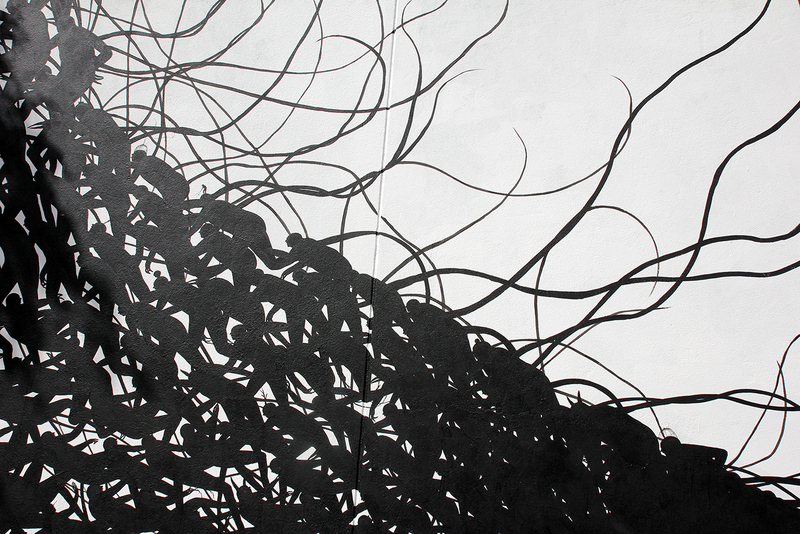 As usual with David, the artwork is composed by a myriad of his black and white characters and entwined by what looks to be roots. 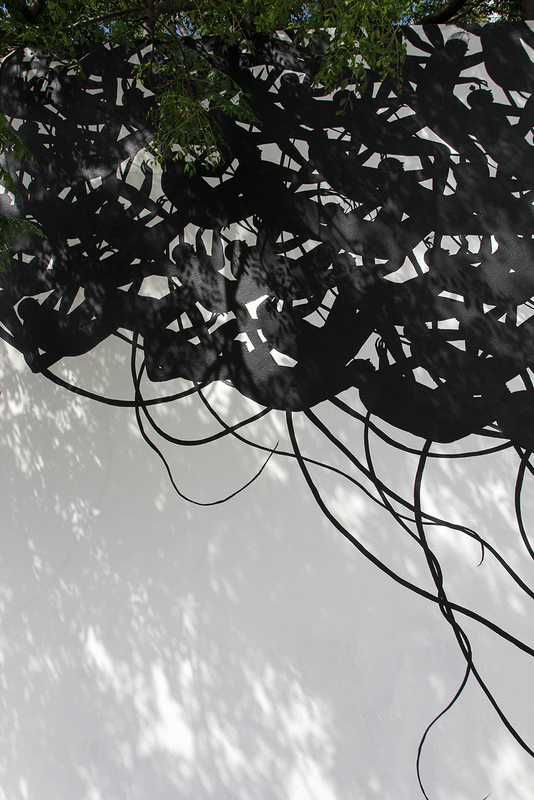 Take a look at more images below and keep checking back with us for the latest updates from South America.